We’ve compiled a list of non-stereotypical, yet still romantic places around the world to spend Valentines Day with your loved ones, family, or friends. 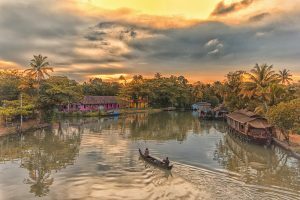 Explore India in style on a kettuvallam, a typical Kerala houseboat used to navigate the backwaters of the Indian state. Kerala, aka ‘God’s own country’, is known for elephant bathing and tree house camping trips. FLIO Tip: the infamous Kerala Backwaters offer a relaxing and calm environment for nature wanderers and explorers. Quebec might not be Paris but you can still enjoy a French romantic aura when roaming through this charming province. Quebec possesses a certain ‘je ne sais quoi’ that invites foreigners and locals alike to visit the French-speaking Canadian territory. 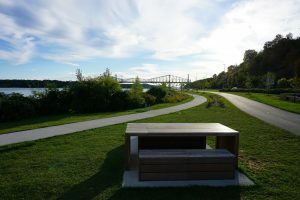 FLIO Tip: take a stroll with your significant other along the Promenade Samuel-De-Champlain. If private time with your loved one is what you’re craving, head over to La Miel, Panama. 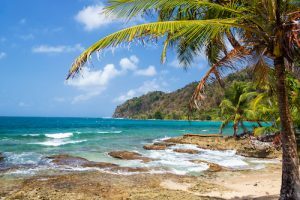 The secluded beach can only be accessed by boat, giving travellers a unique sense of privacy along the Central American coast. FLIO Tip: if you’re feeling adventurous, walk up the nearby hill and through the jungle to cross the Colombian border. 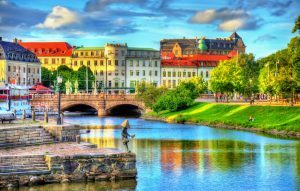 Head to Sweden’s second biggest city for a romantic getaway. Gothenburg’s connection to the sea as well as its charming rural landscape makes it the perfect destination for couples and friends. FLIO Tip: for a laidback date, delight your senses with a cup of coffee and kladdkaka, Swedish chocolate cake, during Fika (Swedish for ‘coffee break’). 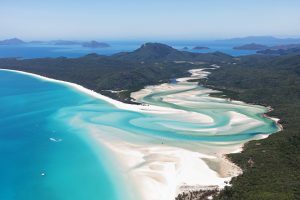 The Whitsunday Islands in Queensland, Australia are quite possibly heaven on earth. 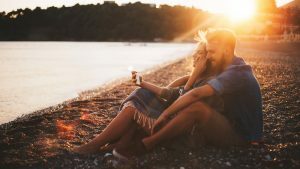 The islands in the land down under are famous for their white sandy beaches and hiking trails, making them a perfect getaway for active couples. FLIO Tip: sail away with friends or your special someone on the Great Barrier Reef at sunset for a once-in-a-lifetime experience.